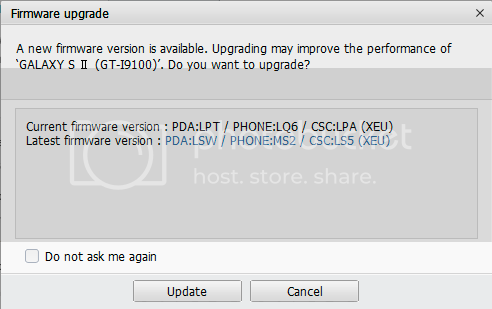 Downgraded to 4.0.4 (I9100XWLPT) and then upgraded to 4.1.2 (I9100XWLSW) via Kies. Did a total clear of the handset and cache before I started. Still no luck, connects, asks for permission and the 1-2 seconds later disconnects. Not sure what else to try... Any suggestions most welcome. ..and I just am so lost with this as it works without an issue with 4.0.4 - rsap connects and I can make a call with out any issues at all. this is the one that works (4.0.4) and the one that does not (4.1.2) - Looks ok? Any suggestion on how I take this forward? It feels like there is a fundamental issue with my phone and JB, and next step would be to take it back to stock somehow but are a lower level that just the PDA (Repartition, the whole works), I am not sure how that is done. btw, tried some other firmware with different versions of the bits, still 4.1.2, exactly the same result, if it wasn't for 4.0.4 working I would have said the handset is broken. I just don't know what is going on here! I know was we are a little off topic here, but I appreciate you help, and would like to get to a point where I can use you app again. Ok, so today I managed to briefly borrow a S2 that also had JB 4.1.2 on it. And low and behold, exactly the same issue, I am annoyed and please about this as if it is broken code base, it makes it much harder to fix, but flip side is that it can't be just me that is affected. How much of the stack does the rsap app replace? Only the rsap daemon, or any other parts as well? My app more or less only replaces the Bluetooth part of rSAP on Samsung phones. That's why I don't understand that it makes a difference sometimes. I'll try to get hold of my wife's S2 and check what may go wrong with 4.1.2.
admin wrote: My app more or less only replaces the Bluetooth part of rSAP on Samsung phones. That's why I don't understand that it makes a difference sometimes. It would be great if you could. I for one would like to know if we can fix this or not, and what the cause is. JB is much better than ICS, so I don't relish the though of going back to 4.0.4 again just to get it all working again. I still at a loss why it does not work. Finally managed to rip off my wife's I9100, made a fresh install of JZO54K.I9100XWLSD and everything works as it should. Though about your problems, and maybe the solution is to create a "Frankenstein" ROM. Use modem.bin and/or /system/lib/libsec-ril.so from 4.0.4 and the rest from 4.1. Those two files are the only software between rSAP and the SIM card, so it must be a change there. I don't know if this will work. It seems that it is no problem to exchange modem.bin (http://androidforums.com/galaxy-s2-inte ... guide.html). There should also be a possibility to flash the modem with Odin. Maybe simply take the 4.0.4 tar.md5, remove everything except modem.bin, rename to .tar and flash with Odin. But it's of course your decision. admin wrote: Though about your problems, and maybe the solution is to create a "Frankenstein" ROM. Use modem.bin and/or /system/lib/libsec-ril.so from 4.0.4 and the rest from 4.1. Those two files are the only software between rSAP and the SIM card, so it must be a change there. I appreciate your help. I suspect the issue is slightly different, as it does connect, but then looses/drops the connection. I have two cars with rSAP, one from 2011 and one from 2006, both VWs. It works fine with the newer car and 4.1, no issues at all. It is with the older car it is just not working at all. Now, I don't know the action sequence the phone goes through to set up the connection. But by the looks of it, it does pass the first handshake, and then something is not right and it abandons the connection. Looking at the phone, I think it is the phone that thinks better of it as the signal bar comes back far too quickly.